Scoffers who ask such frequently answered questions are playing a game with you. It’s a game, as distinct from an honest question because they don’t expect a satisfactory answer. We could call this particular game ‘Jelly legs,’ because the questioner expects you to wobble at the knees over his question, believing you are holding an irrational belief. The antidote is usually to turn such games back on the originators. Ask what evidence they would accept. If it is ‘nothing,’ they are clearly being unreasonable. If they are not sure, prompt them. To the question ‘How did Noah get all the animals into the Ark?,’ you can politely suggest they find out the size of the Ark, what kinds of animals boarded it (sea-creatures didn’t, for example), the average size of the animals, and the number that could fit. Most people are surprised to discover how huge the Ark was. 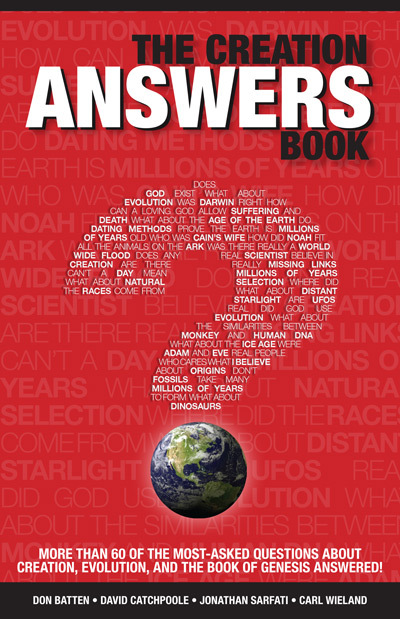 Help them find the solution from creationist literature if you need to. For example, see How did all the animals fit on Noah’s Ark? It is important to be alert for scoffers’ games. Scoffers and honest seekers alike need to be answered. But you will save time and frustration if you turn questions back on the scoffers instead of answering outright. It gets them to do their own work, and avoids questions that may sidetrack you. The ‘Jackboot’ player will accuse you of wanting creation science taught in schools while censoring out evolution. Point out that most creationists would be delighted to have the scientific evidence for both creation and evolution taught in public school science classes, but ardent evolutionists won’t allow anything but evolution. Ask the ‘Jackboot’ player if he supports this suppression of scientific data and denial of access to information. And ask why evolutionists try to control students’ minds by such censorship. What does he fear would happen if students heard all the facts? And especially ask why there is overt censorship of creationist papers by scientific journals and discrimination against creationist scientists, as shown here. This game tries to link creationists with all kinds of odd beliefs. An example appeared in a newspaper article by Sydney Morning Herald journalist Ben Hills. He gave a run-down of creationist beliefs, then added, ‘Some groups teach that the earth is flat ... .’ We personally don’t know any creationist groups who teach a flat earth, but we could easily point out that some evolutionists believe in astrology, tea-leaf prophecy and lucky charms. Evolution doesn’t stand or fall on those unassociated wrong beliefs, just as creation doesn’t stand or fall on someone’s belief in a flat earth. See also Who invented the flat earth? Players of this game accuse you of living in a fantasy world if you accept creation science. They say no real scientists are creationists. Ask how they know this. The Creation Research Society in the United States has hundreds of members with advanced science degrees. So do creationist groups in Korea and Moscow. Creation scientists may be a minority, but they are real. ‘White cane’ players say creationists overlook evidence for evolution, such as small horses turning into big horses, and light moths into dark moths. Ask these players to work out how this could prove evolution from another kind of creature. Ask whether they have read anything by creationist biologists showing how changes seen in living things, in light of modern genetics, do not support evolution. See also Has evolution really been observed? 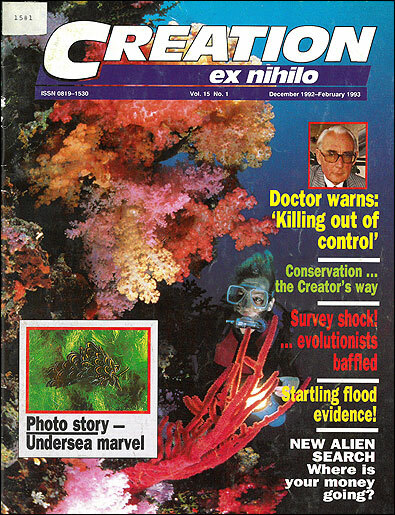 The classic case of ‘Straw man’ occurred when an Australian Skeptic claimed Creation Science Foundation literature alleged that gold chains and iron anchors had been found in Australian coal seams. The Skeptic publicly offered to donate $20,000 to charity and $5,000 to any finder of a gold chain in Newcastle coal. 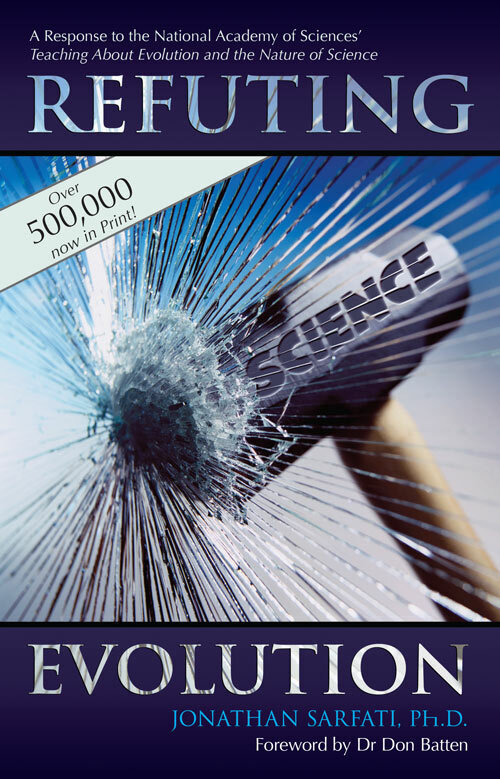 The trouble was, Creation Science Foundation had never made that claim. We challenged the Skeptic to show where we had published it. He was unable to. His reputation, even among other Skeptics, has been tarnished by his extravagant claims. This is sometimes played by newcomers to the creation-evolution debate. Scoffers will say that evolution must be true because it’s the most popular view, and that some churches accept it. Point out to the ‘Line-up’ player that truth isn’t decided by a popularity poll. In ‘Blind date,’ someone tries to belittle you for believing the earth is less than 10,000 years old. The implication is that as a creationist you must be ignoring all the evidence that points to an ancient age for the earth. But turn the game around. Ask the ‘Blind date’ player whether he would believe scientific evidence for a young age for the earth if he found it. If he would, give him an updated list of the evidence for a young world. If not, point out that creationists are familiar with the evidence for an old earth as well as that for a young earth. 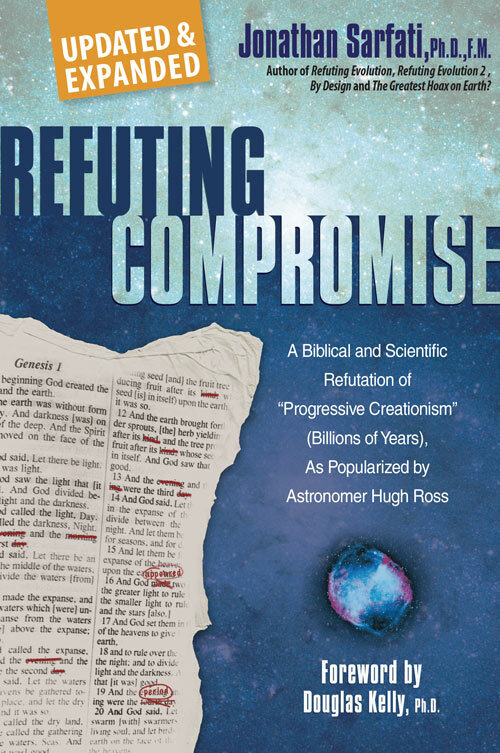 Physicist Dr Russell Humphreys says that some 90% of the relevant data deny that things are billions of years old, but evolutionists always major on the other 10%. The Apostle Peter says, ‘be ready always to give an answer to every man that asketh you a reason of the hope that is in you ...’ (1 Peter 3:15). But Peter says to do this with meekness and respect. Let’s arm ourselves with answers, and follow Peter’s advice.